Please enter the size of your exhaust port hole in inches. We need the circumference or the diameter. See the tab below for information about how to measure. 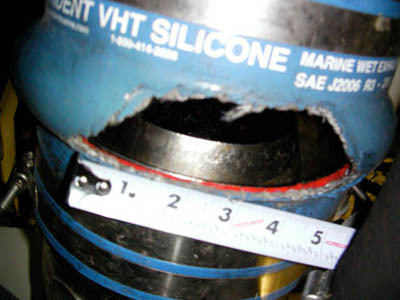 Any boat that has a wet exhaust with a discharge opening of about three inches or larger is at risk. 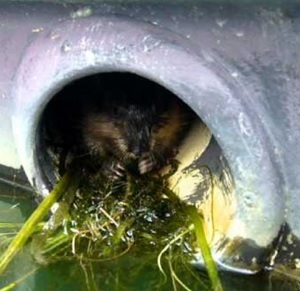 A Muskrat, aka Water Rat, can and will swim up the exhaust and then chew through a coupling hose to the inside of the boat. 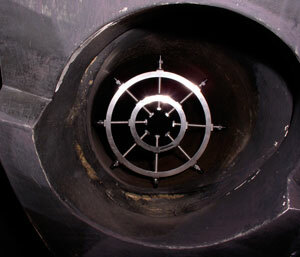 That also includes boats with underwater exhausts as these rodents usually look for underwater entrances leading upwards to hollowed out chambers. This is how many boats sink, even while tied to the dock. Watch this video of a muskrat in an exhaust port. None of us have the time, nor the money, to deal with these nasty rodents. Hurley Marine Muskrat Guards are 316 stainless steel, adjustable, and install inside the exhaust ports which create a screen of protection. Guards are adjusted outward by stainless rods, creating friction to the inside of the port, with no penetration to the hull. Installs in minutes. Protection available in different sizes, depending upon the size of your exhaust port. 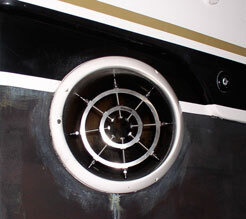 This product is also known as an Exhaust Mixer for when backing down on fish it will mix the exhaust with water to keep the fumes from entering the cockpit or to just minimize the diesel soot on the stern of your boat. Marine insurance policies typically exclude damage caused by “vermin,” which includes muskrats. None of us have the time nor money to deal with these nasty rodents. 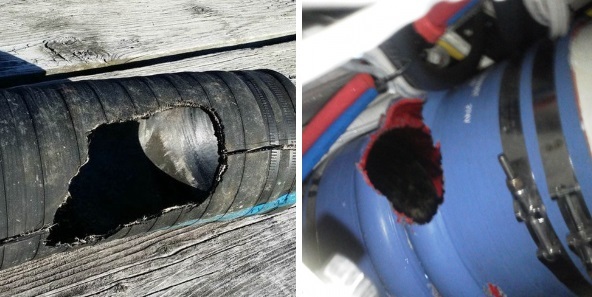 Don't take these rodents lightly, they can do great damage or even sink your boat if they chew through your non-metal parts. Protect your investment! Our Muskrat Guards are stainless steel, adjustable and install inside the exhaust ports. 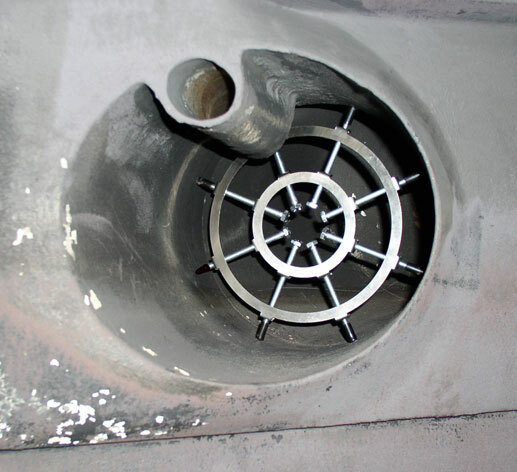 Guards are adjusted outward by stainless rods creating friction to the inside of the port, with no penetration to the hull. Installs in minutes. Protection available in four difference sizes depending upon the size of your exhaust. By giving us the proper hole size, it allows us to ensure the correct rings & rods needed.